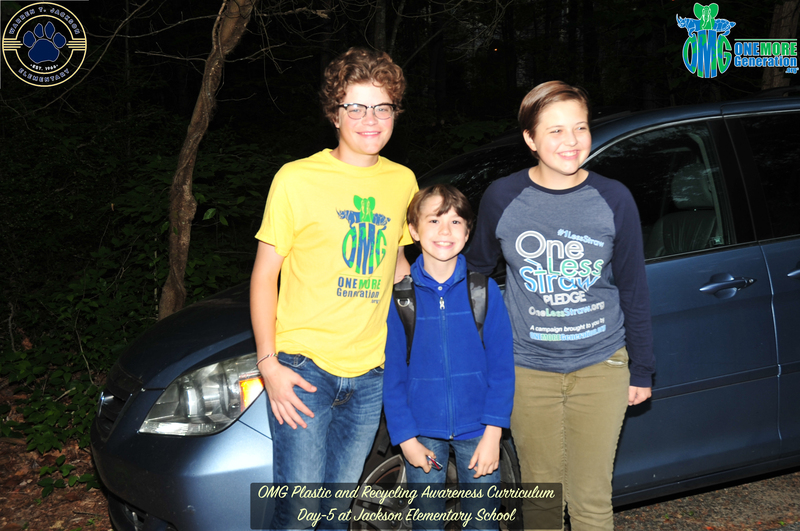 Last week we taught our weeklong Plastic and Recycling Awareness Curriculum at Jackson Elementary School in Atlanta and we included our OneLessStraw Pledge Campaign. 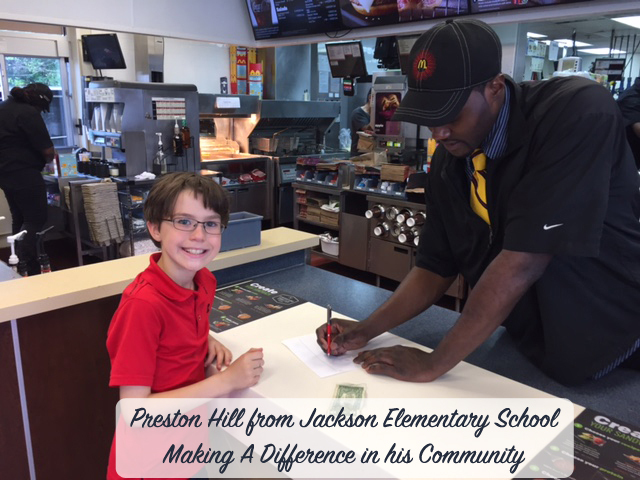 “Here are pictures of Preston capturing signatures/pledges after asking the managers at McDonalds, Arby’s, Goldbergs, Willys, and the Cheeseburger Bobbys to not use plastic straws for a week or at least one day in their stores. He got the managers of McDonalds and Arby’s to personally pledge (although they couldn’t speak on behalf of the corporations), and was waiting to hear back from the other restaurants tomorrow. He is VERY proud of himself and he did a great job making his presentation on why it’s important to use less straws”. We are so proud of Preston for his passion and commitment and commend him for all his hard work. We also wish to thank Preston’s family for supporting him and allowing him to make a difference in his community. Preston went back to Goldbergs Bagels and the manager there did pledge to serve straws only if asked. 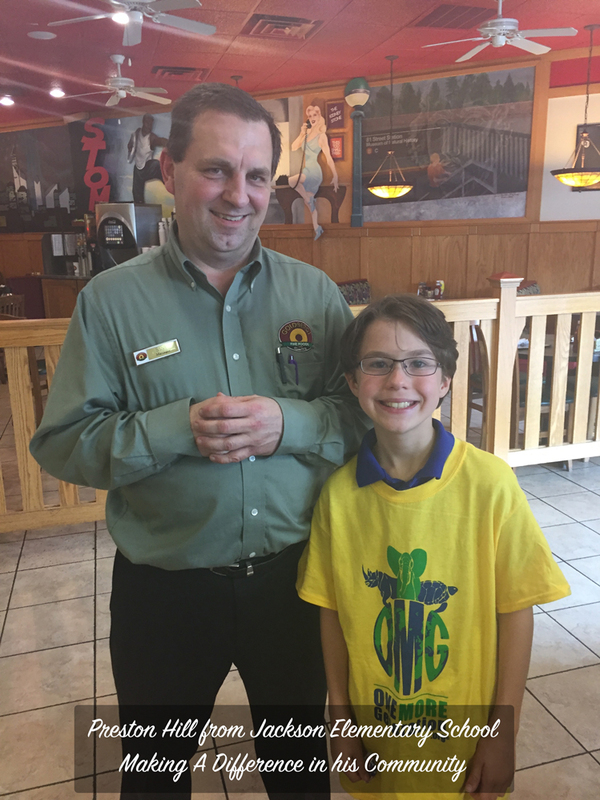 Here is a picture of Preston with the manager at the restaurant.